Do you have failing teeth? 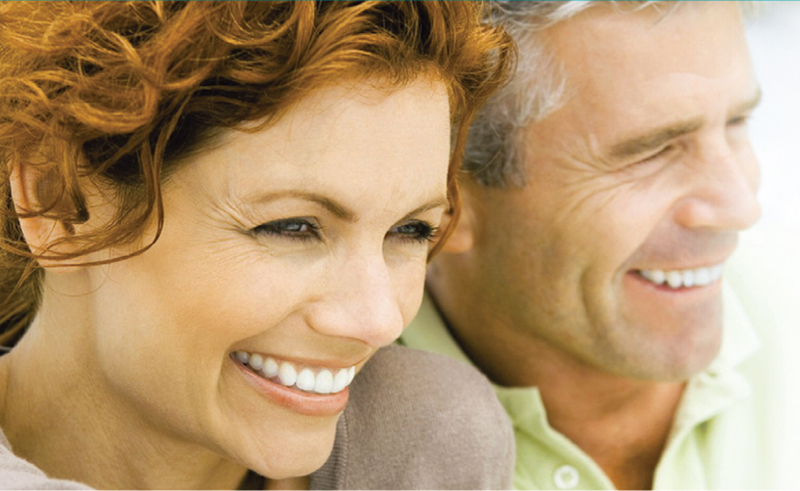 Are you frustrated with your dentures and want a more convenient, effective alternative? Wisdom Teeth and Implants offers a system that’s an immediate solution for both issues. The All on 4 solution is available in Blackburn, St Kilda and a number of other locations throughout Melbourne and is performed by Dr Jaclyn Wong. 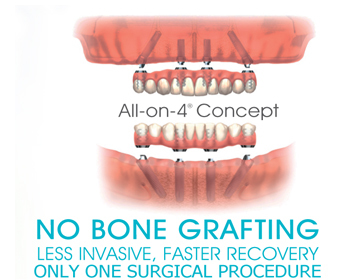 It involves the insertion of four implants in each jaw holding 12 teeth to a single jaw. For those using complete dentures, this means four implants can completely eliminate hours of denture maintenance. The removal of any remaining teeth and the installation of foundation implants are conducted on one day, with the insertion of the teeth done one to two days later. Wisdom Teeth and Implants is proud to have Dr Jaclyn Wong – a member of the surgical team at the first Malo Clinic to open in Australia. The system was invented at the original Malo Clinic in Portugal and since then has spread rapidly across the world due to its easy implementation, lower costs and lower maintenance requirement. The Malo team has great experience with this method, having performed over 800 surgeries in a 10 year period, giving them a great body of work to refer to. Rest assured that when you come to us for the All on 4, whether it be our St Kilda, Blackburn or South Yarra clinic, you will get a team who is dedicated to providing a high quality and effective dental solution. How can the system be implanted so quickly? While some surgeons warn their patients to wait three months before new teeth can be inserted, All on 4 replacement teeth can be installed one or two days after successful implantation. Your dentist is most likely referring to standard, single implants, which are in danger of moving during the healing period if excessive or unexpected force is placed on them. Our implants, however, come with a strong steel framework that prevents movement. If you’ve been told you have insufficient bone mass for implants, we can offer the services of one of the most experienced and respected oral and maxillofacial surgeons in Australasia. They will be able to perform zygoma (cheekbone) implants, which prevents the need for bone from other parts of the body as graft. This still allows insertion of the fixed teeth within 1 – 2 days of surgery. Why should I replace my dentures with All on 4? Our system is fixed to the jaw, meaning it can only be removed by trained practitioners and not the patient. This is an advantage – the system then becomes more like a replacement set of teeth and its immovability guards against awkward social situations involving the loss of your dentures. It’s also lightweight and slimline, sitting much more comfortably in the mouth than dentures due to its permanence. Pressure on other points in the mouth and gums is reduced, resulting in fewer sores and a better eating experience. During the procedure, the jaw bone is levelled to remove diseased sockets and cysts developing from periodontal disease. 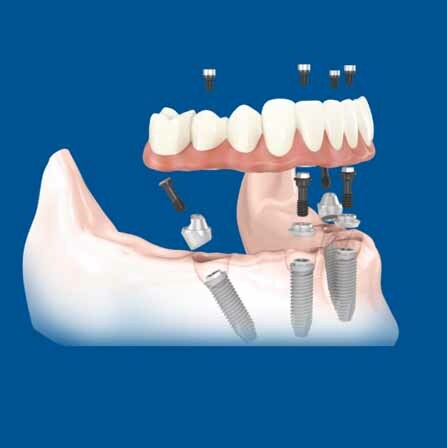 The created platform is flat allowing ease of cleaning underneath the bridge and lessening the chance of inflammation around the implant site. Interested in the system? We provide a complimentary consultation with Dr Wong in St Kilda, Blackburn, Hawthorn, Toorak and other Melbourne locations to help you determine if this solution is right for you. Wisdom Teeth and Implants also offers single implants where a complete prostheses is not needed, as well as wisdom teeth extraction. Speak to us today about our services. We offer surgery in Blackburn, St Kilda, Hawthorn, Toorak, Endeavour Hills and South Yarra. Contact us today through our online form or call 9028 BOOK (2665) and 0422 944 830 to make an enquiry.